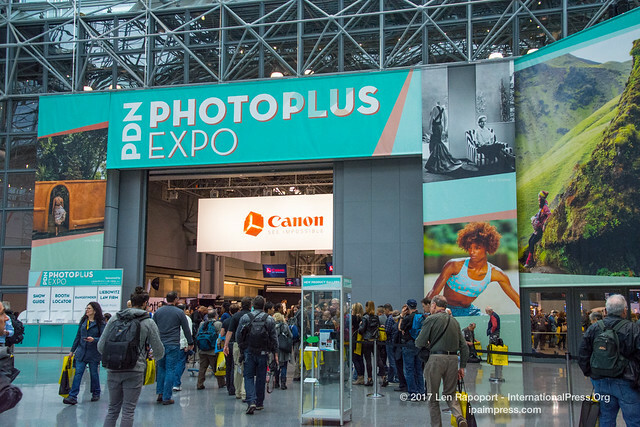 New York….PDN PhotoPlus International Conference + Expo’s started in 1983, and is the largest photography and imaging event in North America. The show features over 100 educational seminars, Photo Walks and Master Classes, special Filmmaking and Drone sessions. the show has over 200 exhibitors and brands displaying thousands of the latest equipment, products, and services for you to touch, try, and compare. We have been covering this show since 2005 and for the past twelve years we have watched the photo industry evolve. From cameras that shot actual film to exhibits that included a section for film and print processing equipment. I would always bring in a few of my best negatives and have them blown up and printed on their equipment. “But them days are gone” The new digital age has changed everything from taking the images to producing breathtaking images that have graced the walls of this show. Our show coverage this year was going to differ from the last 5 years that we have covered the show. In the past I would attend the show with our crew including Andy Peeke and others. This enabled me to add a professional look and feel to my project. We had a number of companies sponsor us at the show that helped to offset our costs of production. My job was to direct my crew and to shoot the video and photos we were to use in our video presentations and articles. I would then spend days editing and producing the videos for the show and our sponsors and of course, write the article that would be published in our four online publications. Of course it also meant promoting the article and videos on all of our social media sites. Each show is a full weeks work, attending the show, editing video clips and image files and of course writing the extensive articles. For me, each year brought new challenges and an opportunity to test new equipment. I was fortunate to have companies like Tamron, RODE, Beachtek Audio Adapters, Manfrotto, Rotolight, Nikon and many others that allowed me to work with their gear and publish my findings on our websites. Content is king on the internet and having exciting and interesting content brings people to our website and aids in attracting new members to our organization. I decided to lighten the load this year and only came with the necessary gear, which was still a lot. 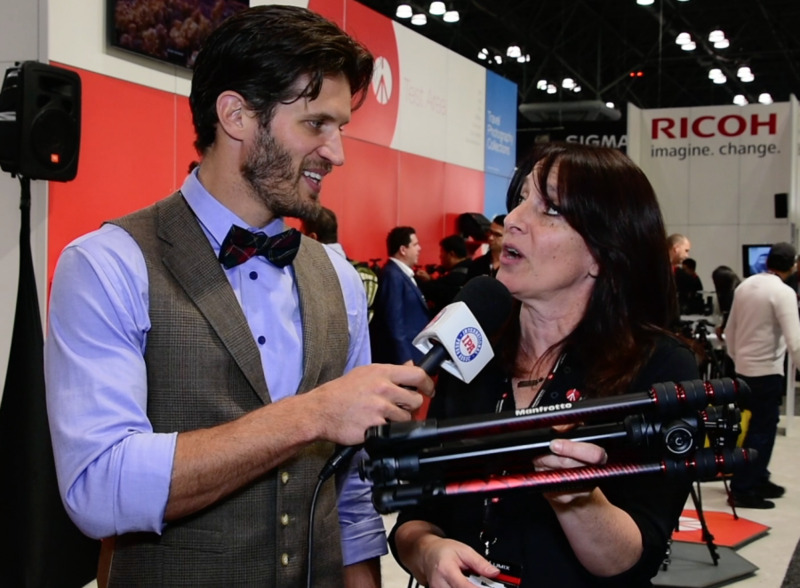 I wanted to walk through the floor of the show with my equipment and select those companies and products that we knew had some exciting new products and ones our readers would be interested in. I also was on the lookout for some of the smaller companies that had equipment we knew our readers would love. So the video you will see showcases some of those products as well as the new gear from our longtime favorites like Nikon, Tamron, Manfrotto and some others. Andy, Craig and myself first stopped at Nikon. We found our friend Steve Heiner who showed us their newest edition to the Nikon family the D850. Steve will point out all the new features of this great camera in our video. You will see why this is a must have if you are an advanced amateur, professional or commercial photographer. This camera is awesome be sure to check it out. I have to admit, I still shoot with my Nikon D7200 which does a great job. See in my photos and video, you be the judge. 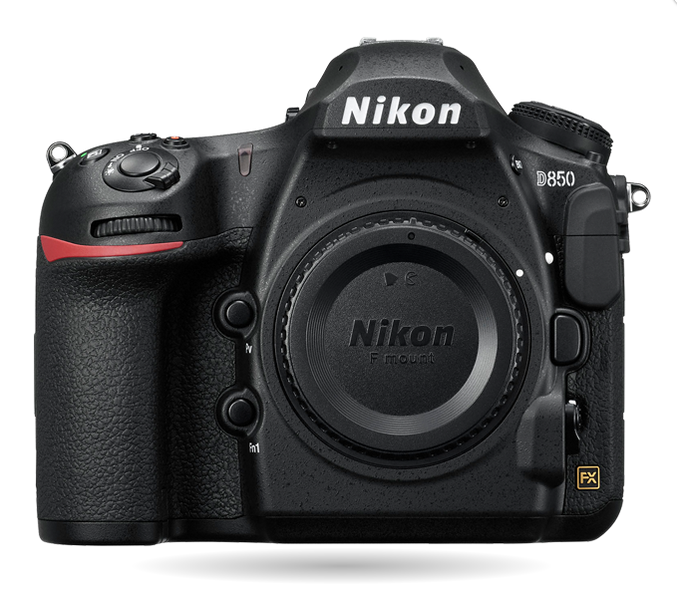 I may just be ready for the new Nikon D750 with Ultra HD and 1080p Full HD video with stereo sound. I have never covered any exhibitors in past shows that offered clothing items. Sew Trendy specializes in custom gowns and fashions geared towards photography with extra fabric for tossing and draping to add interest and texture to photos. Virtually non-existent a few years ago, these gowns have become extremely popular in the maternity photography industry and growing in popularity in the senior and bridal photography markets. Having the right clothing in their studio for portraits makes a good investment, as it creates a seamless experience for the client. All of the garments at Sew Trendy are handmade in the USA, and include maternity gowns, formal gowns, boudoir clothing, girls couture gowns, gown accessories, and newborn photography props. Visit their website and find out more. I know all of you reading this article thought Polaroid was dead and gone, however a name like Kodak or Polaroid meant licensing deals galore for those failed companies. 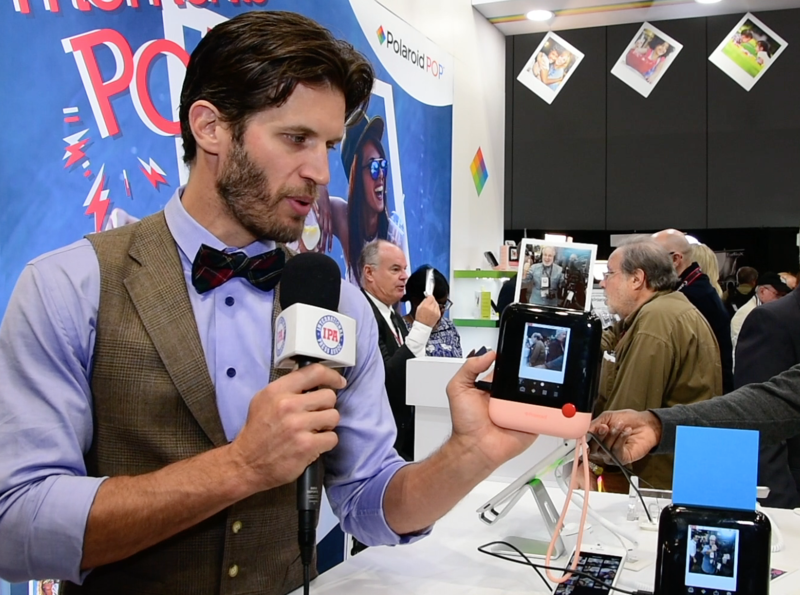 The new Polaroid Pop camera is one such licensed product. This very interesting digital “Polaroid” offers much more than just the instant prints we remember from times past. The new Polaroid digital camera not only make great dye sublimation prints but offers many other features. They include the ability to capture and print 20 megapixel photos that look like the original Polaroid prints. It will store 128 GB of images on an SD card, and will automatically store and print color photos in the 3.5×4.25 inch Polaroid prints. Another feature enables the camera to quickly and easily connect to a mobile device, transforming the camera into an instant photo printer. Polaroid 3.5 x 4.25 inch Premium ZINK Border Print Photo Paper (40 Sheets) $40, $1 per print just like the original Polaroids cost 40 years ago. Find out more at their website. One of our must see companies, has always been our friends at Tamron. Tamron is the world’s largest producers of lenses and the only lenses I use. At Photoplus, Tamron introduced two new zoom fantastic zoom lenses. The 18-400mm F3.5-F6.3 great for close up action and the world’s first 22.2X ultra telephone high power lens and their new big brother the 100-400mm F4.5-6.3 zoom lens. The 100-400 Zoom lens, Model A035 is the lightest zoom in the ultra-telephoto category, making it ideal for handheld shooting over long periods of time. Plus, Moisture-Resistant construction and a Fluorine-Coating on the front element provide additional protection when shooting outdoors. For more on this lens click here. I shot all the photos and video you see in this article with my Tamron 16-300mm F3.5-F6.3 lens. I used my Tamron 10-24mm Wide Angle Zoom and one of my new favorites their 35mm F1.8 lens. I also own their 60mm F2 Macro for all my close up photography. Tamron continues to innovate and every year, when I visit them at Photoplus I look forward to our segment with Armondo Flores who makes me feel as if I probably need just one more lens. I have used Tamron for many years and have always been wowed at the results I achieve with their fantastic and well-built lenses. Visit their website to see their complete lineup of their complete lens line. What can I say, I have always loved the Manfrotto products and own quite a few from camera bags, tripods, lights and other gear. Their products, many produced or designed in Italy, are second to none in quality and innovation. Over the past 9 years, they have been generous and have given me many of their gear to use, test and write about. I can tell you that I don’t own any other manufacturers tripods. I made an attempt to get my hands on the BeFree to see if it was truly that light weight and small. Unfortunately Manfrotto’s new policy doesn’t offer products to the media as they did in the past. Although I may not be able to report or test this tripod, I can only assume that it will live up to their claims. The tripod is available for both video and camera use. The tripod is the same, the difference is the tripod head. 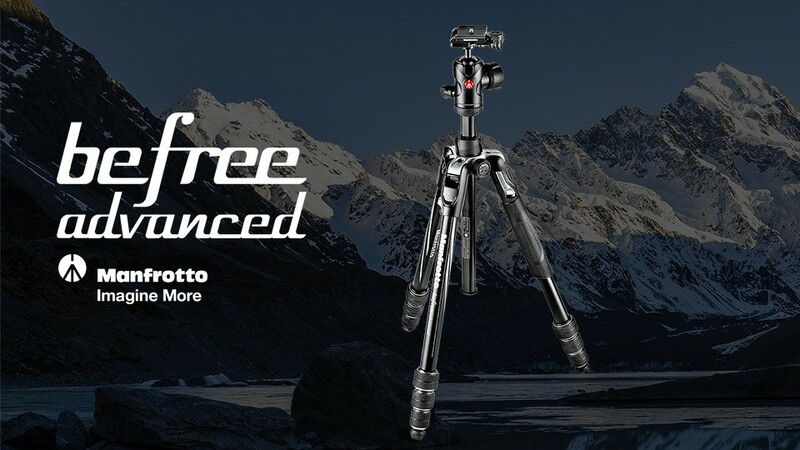 Check their products on their website and find out more about the BeFree Tripods. One of the companies that impressed me was Blackbezt an LED Lighting company from China. I felt they had some of the most powerful and affordable LED studio and location lighting equipment at the show. 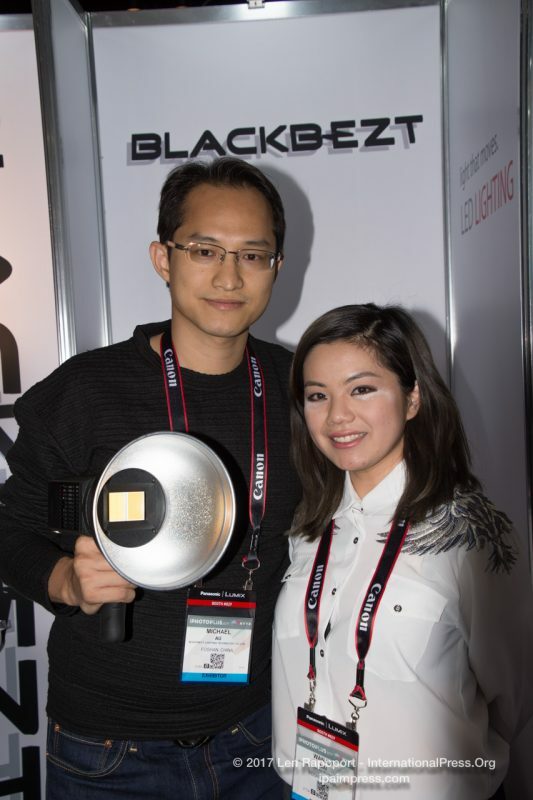 We all know that a decent 1X1 LED light is going to cost anywhere from $1000 or more. If I told you that their Luxpando P1200 lights, that measure 12.99in X 8.66in X 0.7in and has built-in barn doors and draws 100w at 5600k for $600 complete, would you run out and get one or more? I think you would. Their lights will work with AC or battery power. I was given three of their units to work with and test. From what I can tell by a simple examination and test, they are extremely well made. They are one of brightest lights I have tested. The cost of their lights are easily 50% lower than similar lights from some of the leading brand name manufacturers. 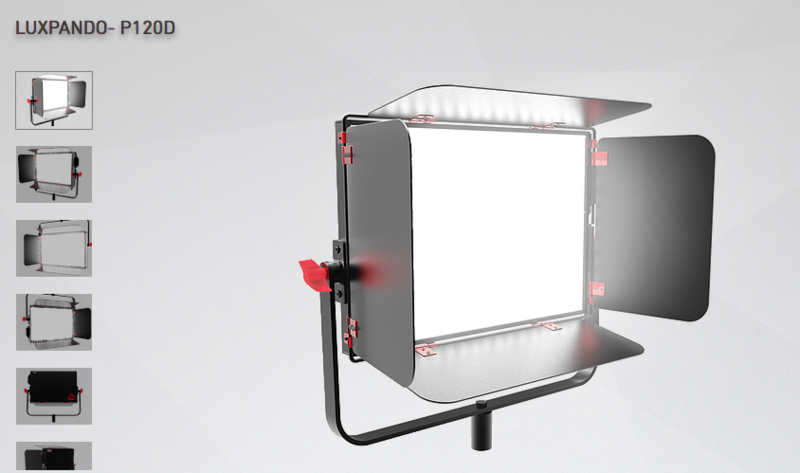 There Luxpando series includes a 5600K Daylight model, a 3000K Tungsten version and of course their adjustable color temperature model the P 120DT for Daylight and Tungsten, full adjustable color temperature and brightness. Check out their website they have awesome, quality lights for photographers and videographers. I look forward to testing them in action and writing a product review. There was a Chinese Pavilion at the show. This pavilion gave Chinese companies an opportunity to introduce their products to the American market. I was in the market for a new flash because my original Nikon flash, was “borrowed” from my open camera bag two years ago at the show. At that time, Phottix was kind enough to provide me with their Phottix Mittros flash. Unfortunately, that flash and a Rotolight Neo was recently destroyed by some leaking “AA” Kirkland batteries that I bought at Costco…lesson learned, don’t buy Kirkland batteries. I wasn’t certain I could take photos without a flash that had a slave option at PhotoPlus. I only had my LED lights and the Nikon built in flash. I was hoping I could find a flash I could buy at Photoplus. I looked at the Nikon Flash units, $400-$600. Then there was the Metz for Nikon also $400-$500. Finally a stroll down to the China Pavilion on the last day of the show and I saw all the exhibitors selling their stock. They certainly didn’t want to have to wrap them and take them back to China. The cost for the excess baggage and duties would be more than the products were worth. To my good fortune I ended up buying their Triopo Speedlight TR-586 EX for Nikon. 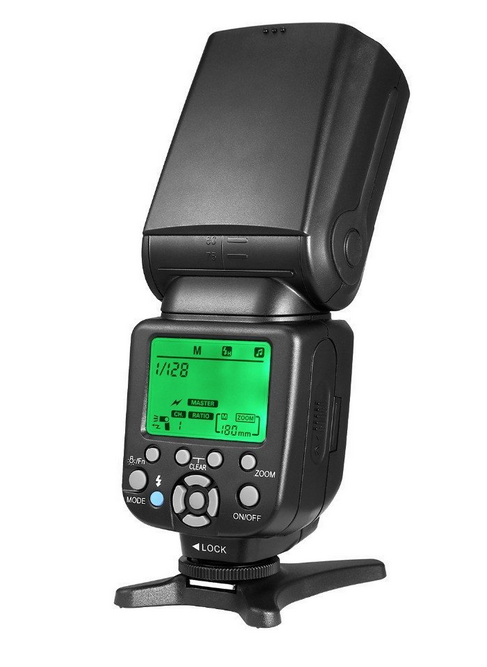 This flash can match even some of the $200-$500 speedlights and offer more than I need in a speedlight for my camera. 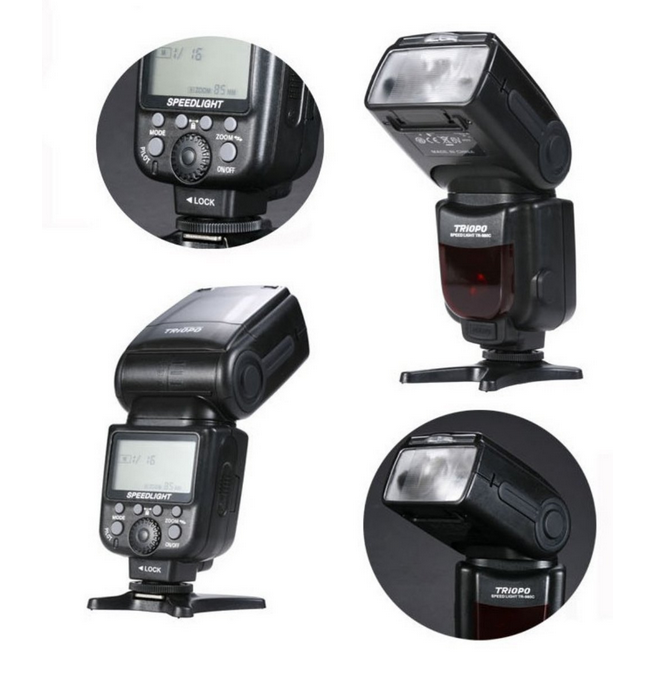 The flash works TTL, Slave and has all many other optional settings. It I includes a stand, white diffuser and case. The best part of this deal was the cost, $50 bucks. Photographers were able to get some great deals at PhotoPlus and get an education at all the free and paid seminars and demos. If you are an amateur or a professional photographer or videographer this is one show you MUST attend. Photoplus is one of the only opportunity you will have to see a wide array of new products and new techniques to make you a better photographer. 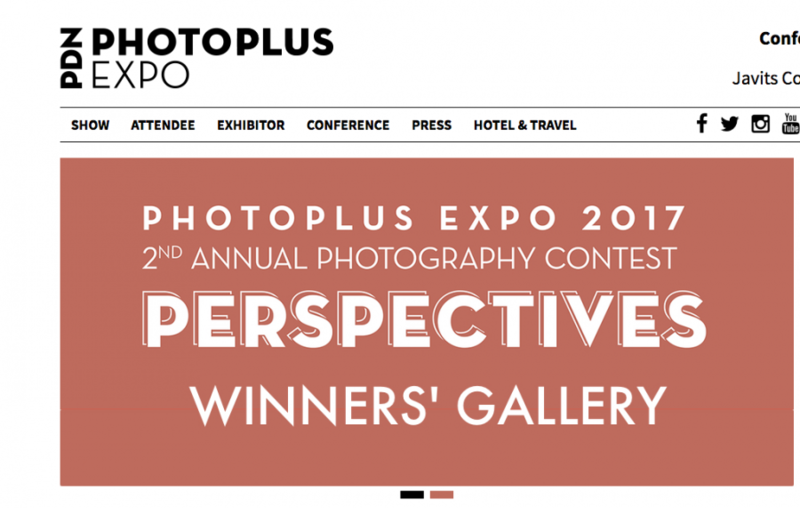 If you have never attended this show and love photography, then make sure you go to the 20018 PhotoPlus Expo. I have to admit I enjoyed covering this show more than most of the others. You may ask why…well, I decided to just go and walk the floor to actually see what was new without any plans in mind to interview any companies. I actually wanted to see the show as a consumer, hoping to find some exciting new gear, I could use. With Andy and Craig by my side I had all I needed, crew wise, to handle the show without killing myself dragging all the gear I usually bring with me. We all decided we were going to this show to have fun and to discover some new companies and new products and we did. I think this might be my last PhotoPlus Show in New York. I will be moving to Florida this year for a more relaxed and less demanding retirement. It was great seeing old friends and making new ones at this show and who knows, maybe I will fly up next year to once again cover the 2018 PhotoPlus Expo. IPA Editor-In-Chief, ID: 1000 • I am an internationally published photographer and the founder of International Press Association. As president and editor-in-chief, my duties at IPA are extensive. 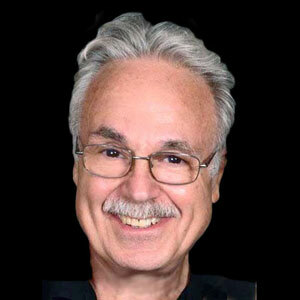 For over 40 years I have written articles, had my photos published in millions of publications, record album covers, books, and in the digital media. I was senior marketing and sales executive for major corporations, including my own and as a corporate communications consultant. I have taught photography and formed IPA 23 years ago. I currently work from my home office and continue to actively cover media events in addition to all of my other IPA and IMPress responsibilities.